As weird as this sounds, Nokia and Vodafone are actually planning to launch 4G mobile network in the moon even though some places in the planet are yet to get 4G network. The lunar 4G mobile network in the moon is expected to be available in 2019. But what is the reason for this? Why 4G network in the moon? 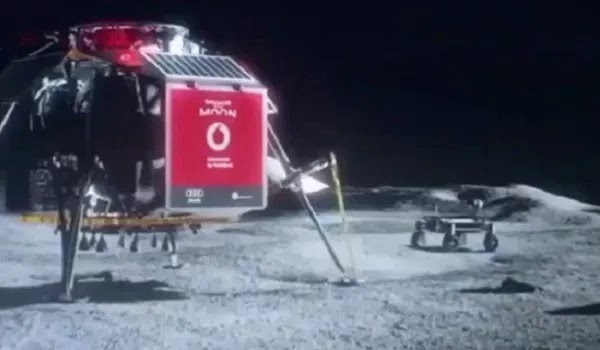 According to the BBC, the lunar 4G mobile network will be used by rovers based on the moon to stream high definition video back to a base station which will beam it down to earth. A Lunar Roving Vehicle (LRV) or rover is a battery-powered four-wheeled vehicles that carries astronauts, their equipment, and lunar samples around on the Moon. Also, this network will be used for both manned and unmanned Moon expeditions which collect lots of scientific data, including high resolution video and photos, that needs to be transmitted. A 4G mobile network will certainly mean less demand on a rover and easy accessibility. In fact, it will make the work more easier in space. Another advantage is that astronauts can move farther without worrying about getting disconnected. Sending these heavy data directly from a rover to earth requires much power and 4G will lessen it. Once this technology is launched, HD videos can also be streamed live from the moon. Of course this task gonna cost millions of Dollars and many people may see it as a waste of money, time and resources but in reality, space technology has positively affected life on earth. It has helped in areas like agriculture, medicine and even mobile technology. You can see it's not really a waste of money. Below is a video from the British Broadcasting Corporation website in regards to this. You can watch it.